Search engine optimization (SEO) is a simple mode of marketing one’s website by improving efficiencies and ranking on various search engines. The focus of SEO is to grow the visibility of the website on any search engine and attract traffic to the website in the shortest time possible. Conducting thorough SEO management involves both creativity and technical skills in digital marketing. From link building to developing the graphical appearance of a website, SEO entails many aspects that may not be all covered in this article. Sometimes, the most important aspect of a website is its simplicity and adaptability, which may make it easy for search engines to understand. SEO is all about your website being relevant and friendly to internet users using the internet for various reasons. It is about focusing on the material content of your website and making it useful to the target audience. Given that billions of online shoppers begin their search for what to buy using search engines, it is vital that the website is linked to by reliable links for keywords that may make it easy for individuals to notice. If you are looking forward to having your website highly ranked, it is important to post relevant content on the website, and focus not on increasing traffic but providing relevant information to your website visitors. According to Andy Hughes of Caffeinated, an internet marketing consultant, the most productive tactic for improving the rating of your website is conducting an optimization exercise by using targeted keywords in your content. Remember the right selection of keyword for the content you post will enable internet users to locate your website while researching the internet. Place the most targeting keywords at the top of the page, with the least important keywords appearing elsewhere on the page. Although most SEO consultants and digital marketers will prefer that you include numerous keywords evenly spaced on the page, organic content is the most preferred format for search engine spiders. 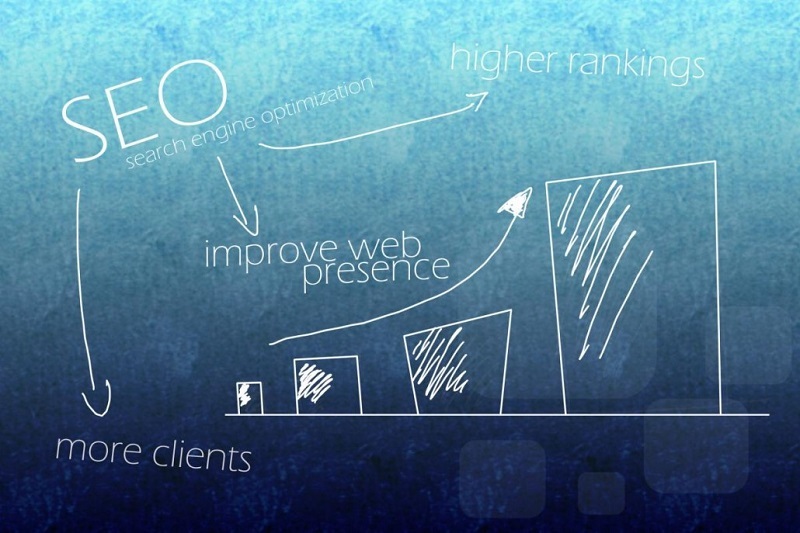 Optimizing your website does not require many years of experience in SEO. However, it is important the one get proper guidelines on how to go through the task. Now, if we assume that your website is poorly rated by most search engines and you are intending to optimize it, what exactly should you do? Where should you begin and when do you stop? Do you know who your target market is? If the answer to this question is yes, then you are on the right track. First, determine who the target audience is in the industry and focus on deriving or formulating targeting keywords for all the content you will be posting on the website. Keywords can determine whether those inserting the search words into any search engine or browser will click on your website. You can determine the keywords by using the words that describe the products and services you offer in the market, affiliate websites such as Reviewlatest and others have to do this successfully to enable them to rank for other companies products or services. You can misspell your keywords, or right the keyword using commonly mistaken words. For example, you can write DIRECTV instead of Direct TV. Also, make it a habit to include your name in the keyword if it is misspelled in most cases. Only use phrases that get few searchers but produce higher results. Avoid the use of common keywords. The combined keywords must not exceed a thousand characters. The shorter the keyword the more effective they look. Remember most internet users do not exceed four words when writing their search keywords on common search engines. If you are stuck and need help in coming up with reliable keywords, you can use Keywordtool.io to come up with various keyword combinations that fully match your area of expertise. Building on the keywords you are targeting, you can create “meta tags,” on all your website pages. Compare your tags with those of your competitors since most of the descriptive phrases that are written in HTML code may not be visible on your webpage but other search engines can easily locate them. For an HTML version of the website, the most common web tags are found at the top of the page and appear in the middle of the code. You can open your browser, and on the “view” menu select “source” to look at the text. Ask your website developer to state the meta tags in appropriate location when developing the website. The simplest meta tags for a marketing website follow the format title-description – keywords. The meta tag format determines what individuals see once the web page appears on the search engine. Briefly, they predict the usefulness of the website. The titles for the web page should be relevant to the target audience and placed in the right areas of the webpage. The main reason behind the poor ranking of a website is the inappropriate location of meta tags on the website. Make your web page titles simple and short. They should not exceed 95 characters (including spaces). Apart from coming up with a clear title for the web page, the description tag must also be informative and clear. If your website appears at the top of any search engine, it is the description parts of the link that determines whether someone opens the link or not. The descriptive part of the meta tag should answer the question on what you are offering in the market and must not exceed 220 words. You can also opt for Good Keywords Software as your meta tag creation tool. The software provides you a reliable keyword combination and meta tags that you can easily paste in your browser. Links are an important part of SEO. In fact, the more websites (preferably authority sites) that link to your website, the more likely your site pages are to rank on search engines. The primary reason links are associated with high value is that it’s easy for web users to perform research, create content or edit their content but it’s difficult to convince thousands of other sites to link to your websites. In the eyes of all search engines, the more non-spam, authority websites linking to your site, the more authority your website has on that specific niche. Here are some of the important things you should know about links and SEO. Building links in the right way will ensure that your site ranks perfectly on search engines. Having a reliable website that can market your services involves carrying out a detailed website optimization exercise and thorough website audit. The guidelines given in this article may as well be productive to those intending to improve their website rankings.